Jubilee Jenkins is no ordinary librarian. With a rare allergy to human touch, any skin-to-skin contact could literally kill her. But after retreating into solitude for nearly ten years, Jubilee’s decided to brave the world again, despite the risks. Armed with a pair of gloves, long sleeves, and her trusty bicycle, she finally ventures out the front door—and into her future. Eric Keegan has troubles of his own. With his daughter from a failed marriage no longer speaking to him, and his brilliant, if psychologically troubled, adopted son attempting telekinesis, Eric’s struggling to figure out how his life got so off course, and how to be the dad—and man—he wants so desperately to be. So when an encounter over the check-out desk at the local library entangles his life with that of a beautiful—albeit eccentric—woman, he finds himself wanting nothing more than to be near her. 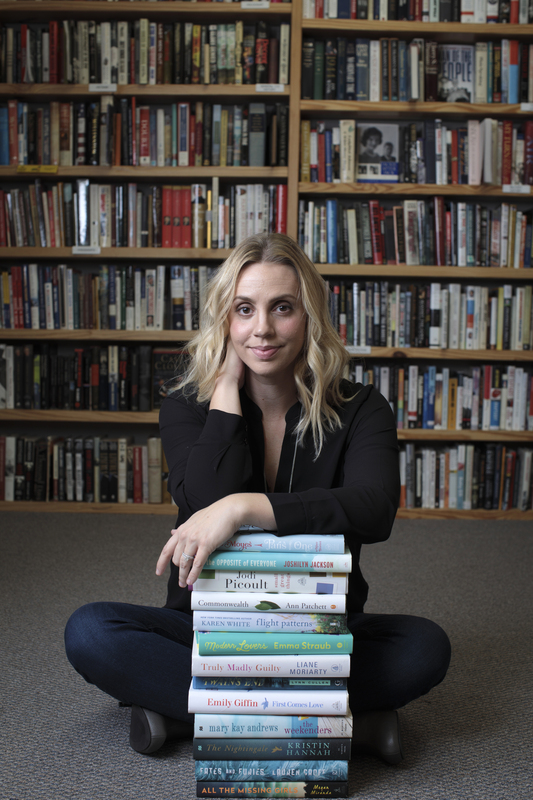 A “heart-wrenching and humorous” (Publishers Weekly) love story for anyone who’s ever wanted something—or someone—just out of reach, Colleen Oakley’s Close Enough to Touch will delight fans of Jojo Moyes’s One Plus One and Graeme Simsion’s The Rosie Project. This reading group guide for Close Enough to Touch includes an introduction, discussion questions, and ideas for enhancing your book club. The suggested questions are intended to help your reading group find new and interesting angles and topics for your discussion. We hope that these ideas will enrich your conversation and increase your enjoyment of the book. Twenty-eight-year-old Jubilee Jenkins is allergic to other humans—yes, allergic to humans—and her life-threatening condition has made Jubilee not only a medical marvel but also a recluse. After a humiliating near-death experience in high school, Jubilee has spent the past nine years in the confines of the small-town New Jersey house her unaffectionate mother left to her when she ran off with a Long Island businessman. Now, after the death of her mother and loss of her financial support, Jubilee is forced to leave home and face the world once again. But the constant threat—and growing desire—for human contact might prove too much for Jubilee when Eric Keegan, a man who just moved to town for work, and his adopted son, Aja, burst into Jubilee’s life. 1. What effect does the alternating narrative between Jubilee’s and Eric’s perspectives have on your understanding of the events and characters in the book? How would the story have been different if it was just from Jubilee’s point of view? 2. Do you think Eric is a good dad to Aja? To Ellie? Why or why not? Compare and contrast his parenting style with that of Jubilee’s mother, Victoria. Consider the challenges each parent faces. 3. Why do you think Eric agreed to adopt Aja? How did that change his relationship with Stephanie? With Ellie? 4. How does Jubilee’s relationship with her mother affect her outlook on life? What would you do in her mother's shoes, having a child with a unique condition like Jubilee’s? 5. How is Jubilee affected by each of the people she interacts with as she reenters the world? How do they affect her perspective about her condition? Consider her interactions with Madison, Eric, Aja, Michael the pillow-golfer, and Louise. 6. Is Eric’s long-distance father-daughter book club experiment a success? What is so powerful about the shared reading experience? How has a book brought you closer to another family member or friend? 7. Why do you think Jubilee resists pursuing treatments or management for her condition? Why wouldn’t she want to see a doctor for an Epipen prescription? 8. Consider this quote: “People did stare at me in high school—like I was a curiosity—but I didn't think anyone ever noticed me. It’s a strange feeling, to be seen but invisible at the same time.” (p. 94) What is the difference between being seen and being noticed? Why is the difference important to Jubilee? 9. How has Jubilee’s nine-year seclusion affected her emotional maturity? 10. Discuss the importance of female friendship. How does Madison and Jubilee’s relationship affect each of the women? 11. Why is Jubilee the only adult who is able to get through to Aja? How do their shared experiences link them? 12. How does the truth about Jubilee’s condition change her relationship with Eric? With Madison? 13. Throughout the book, Jubilee starts to understand that her biggest fear isn’t actually physical touch but having emotional connections, only to be let down or disappointed by them. How does each character experience and deal with their own fears of vulnerability throughout the book? 14. Did the letter Jubilee found from her mother change your view of her? How so? 15. In the end, Jubilee asks Madison “if love is worth the risk.” How would you have answered that? 16. What was your reaction to the epilogue? Do you think Jubilee and Eric end up together for good? Why or why not? 1. Share with your book club: If you didn’t leave your house for nine years, what would you miss the most? How would you make your way back into the world? What would you tackle first? 2. Hold your next book club meeting at a local library; arrive early to people-watch and witness how your local library is serving your community. 3. Like Eric’s daughter Ellie’s school assignment, keep a journal of impressions, notes, and questions during your reading of your next book club pick. Share your reading journal with your book club. 4. Learn more about the author Colleen Oakley at http://colleenoakley.com/; follow her Facebook (https://www.facebook.com/writercolleenoakley) and Twitter (https://twitter.com/OakleyColleen) for more updates about her books. “The story of three wounded souls denied the human touch they desire, expertly conceived with all the warmth and affection of an enormous bear hug. A real achievement." "It's so rare these days to find an utterly original heroine like Jubilee - one who is bravely living an almost unimaginable life. Gripping, raw, and moving, this is one of my favorite novels of the year." "In Close Enough to Touch we meet Jubilee Jenkins, who has a life-threatening allergy to human touch, and Eric Keegan, a good guy whose life isn’t going according to plan. Colleen Oakley expertly weaves Jubilee and Eric’s stories together, ensuring we laugh a lot and cry a little as we fly through the pages. This is a heart-warming, unconventional love story you won’t be able to put down." "Oakley delivers a story that overflows with compassion, humor, and the impulsive need to read just one more chapter until you reach the very satisfying end." "Colleen Oakley writes a unique twist on love that I couldn’t read fast enough. 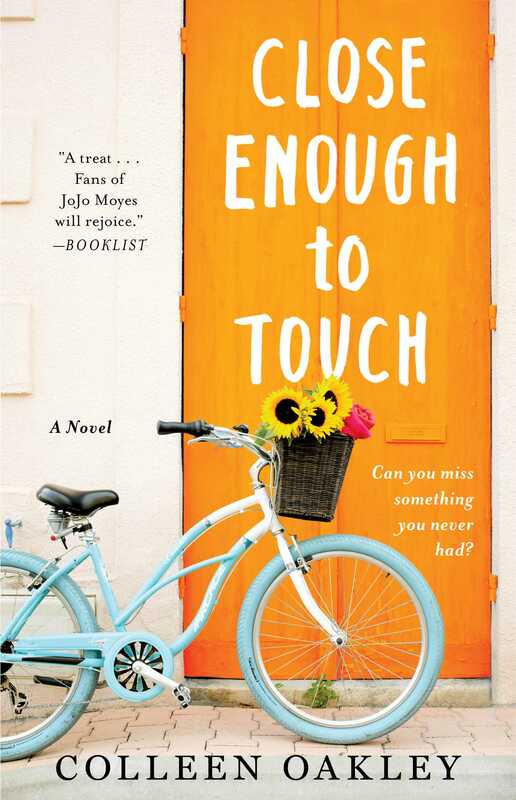 With effortless charm, wit, and just a touch of heat (pun intended), Close Enough to Touch's offbeat characters warmed my heart with tender moments and heartbreaking revelations." "Oakley masterfully creates a high-stakes story that still feels solidly real. All of her characters are well-rounded and charming, especially Jubilee. Readers will cheer each time she takes a risk and delight in her triumphs. A romantic, sweet story about taking chances and living life fully." "A breathtaking story about love with all the odds against it. Two lives coming together at a time when they are both learning how to live again. Colleen will tug at your heartstrings with this powerful and touching novel." "Highly recommended for laugh-out-loud fans and the tearjerker set."